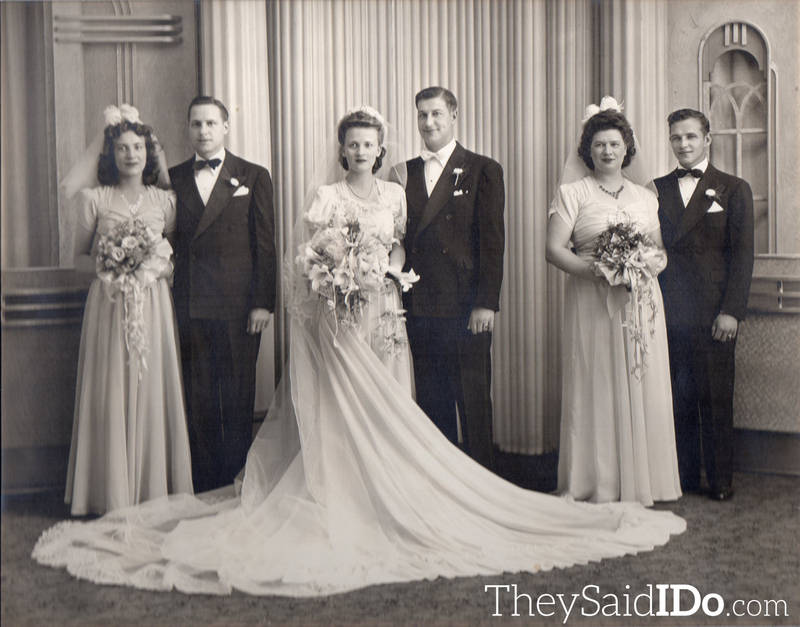 Today I’m honoring a very special couple on the blog – my grandparents Leonard and Marian. Although they are no longer with us, this would have been their 70th wedding anniversary. They were able to celebrate 60 years together before my gram passed away in 2005. One of my favorite memories of time spent at their house, among so many that I can’t even begin to count, is of looking through their boxes and albums of family photos. I would always reach for their formal wedding portraits in the large foldable stands first. 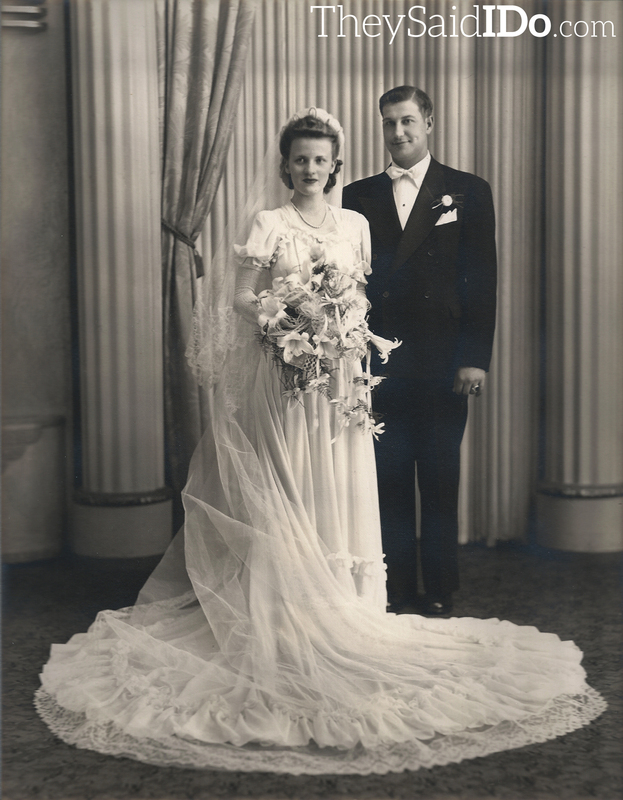 I was in awe of my gram’s beautiful dress (in fact, she borrowed it from her sister-in-law Isabelle who was a bridesmaid in her wedding) swirling veil and bouquet. 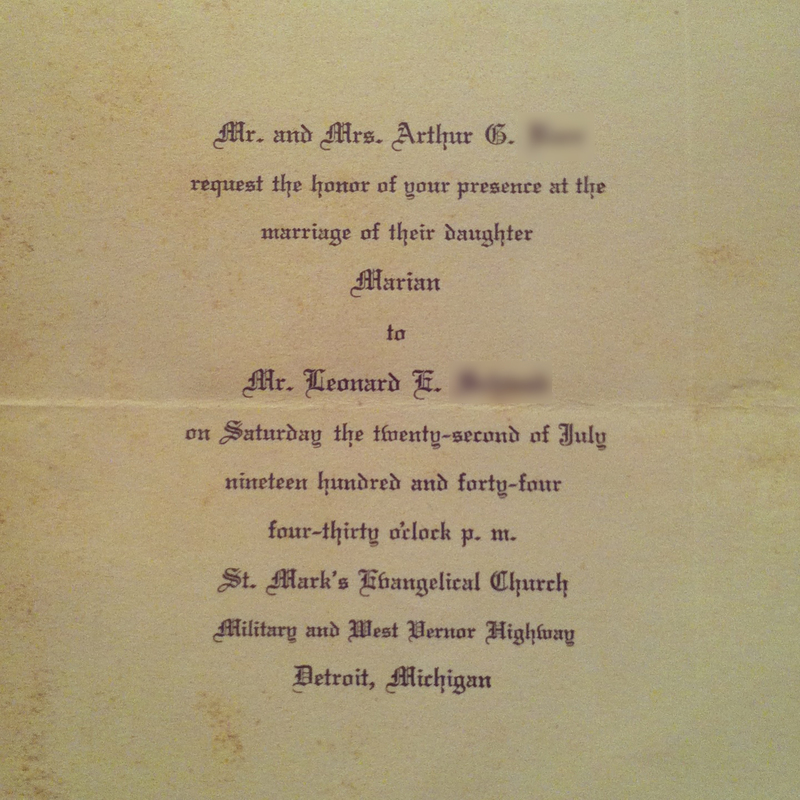 They were married while my grandpa was home from leave from Aberdeen Proving Ground in Maryland during World War II. Attendants from left to right: My grandma’s sister Geraldine (Gerrie), my grandpa’s brother George, George’s wife Isabelle and my grandma’s cousin Freddy. Their professional photos were taken by Bonish Studios in Detroit. My mom is on assignment to find some of the snapshots from their wedding day, so look out for those coming up later this week. Posted on July 22, 2014 by They Said I Do. 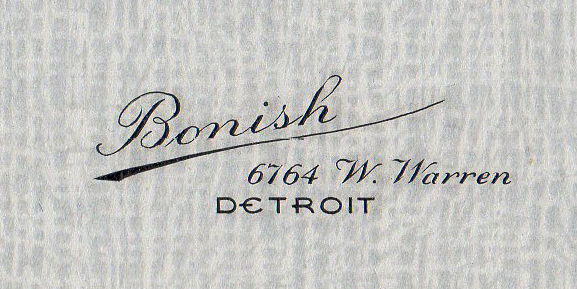 This entry was posted in Photos and tagged 1940s, Bonish, detroit, michigan. Bookmark the permalink. Your gram looks absolutely lovely in the dress, and it seems to fit her perfectly–I would never have guessed it had been borrowed. Hope your mom is able to find those snapshots!